The Komi Republic is situated in the far northeast of the European part of the Russian Federation. Its population is composed of more than one million people who belong to over 70 different ethnic groups. While Russians represent more than half of the population, with 23 percent, the indigenous Komi people are the largest minority. Most Komis belong to the Russian Orthodox Church but their religion contains traces of pre-Christian beliefs. The Komi language belongs to the Permian branch of the Uralic family. Closely related to ethnic Udmurts, Komis have inhabited their indigenous homeland since the first millennium before Christ. Beginning in the 12th century, they came into contact with Russians who began to expand their territory. In 1472, the Komi were conquered and came under the rule of the Russian Empire. 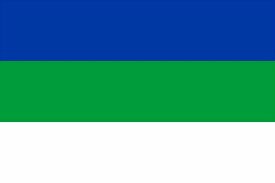 The Komi, or Zyryan, Autonomous Region was formed on 22 August 1921. The Komi people withstood many years of Russian and Soviet influence but in 1992, the Komi region was officially transformed into a republic within Russia's federal system. Under Russian rule, the Komi people were subjugated to russification policies, which included the promotion of the Russian language and the prohibition of teaching in native languages in schools. During the time of the Komi Nation’s membership with UNPO, their goal was therefore to resolve cultural, economic and legal questions that pertained to their specific situation as a distinct ethnic group. This included the preservation and development of their culture, traditions, historical monuments and language, as well as finding solutions for the severe environmental damage that had been caused by various oil spills and fires.